The kitchen is the heart and soul of any home. It's the room where you prepare meals and snacks for your family and gather altogether to catch up on the day degrees1/2? ?s events whilst having your meal. Our Prima kitchenware range is guaranteed to make your life simple in your comfort zone, the kitchen! This ultra modern whistling kettle is ideal for your family whilst on your camping trips or at home. 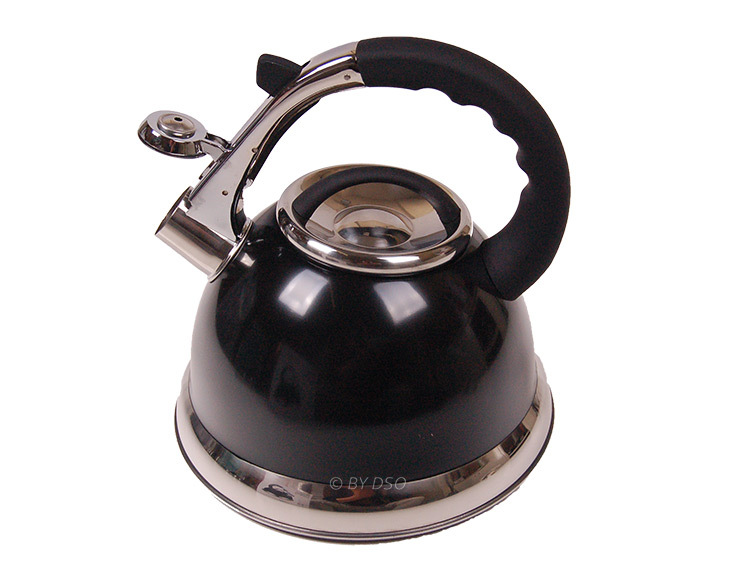 Suitable for use on gas, electric, halogen and Ceramic Hobs, this kettle made from stainless steel with its unique finishing is perfect for all your hot drinks. The capacity of 3.5 Litres is more than enough to give your whole family a hot drink with just one fill. The whistle spout is lift able with a simple pull of the lever on the handle for easy pouring. Ergonomic Phonolic Silicone insulated handle for your comfort and to keep the handle cool while pouring.